Sentryo inked a worldwide distribution agreement to deliver its ICS CyberVision, an asset discovery and anomaly detection solution, as part of Siemens AG’s industrial cybersecurity product and service portfolio. Siemens selected the Sentryo ICS CyberVision, which is designed to safeguard industrial control systems (ICS/DCS/SCADA) against cyber risks. 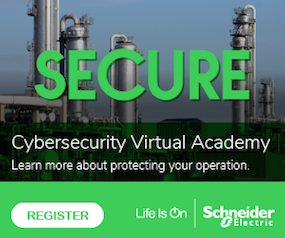 By discovering all devices connected to the control network and by detecting intrusions and anomalies, ICS CyberVision can help end users maintain continuity, resilience and safety of their industrial systems. The Sentryo solution will end up integrated within Siemens IPCs. “Cybersecurity is a strategic matter for Siemens. Asset discovery and anomaly detection are key components of any Operational Technology (OT) cybersecurity strategy. By collaborating with Sentryo, we complete our portfolio of Industrial Security products and services with an innovative and easy-to-use solution truly designed for the control engineering world,” said Thomas Moser, chief executive of the Siemens Industry Customer Services business unit. “We have invested a lot in Artificial Intelligence and Data Visualization to make asset discovery and anomaly detection usable by control engineering professionals and this is now really paying off,” said Thierry Rouquet, Sentryo co-founder, chief executive and president.